Food policy councils (FPCs) are increasingly common in the United States as way to address community health. These collaborative governing bodies, found at the local, state and regional level, bring together diverse food system stakeholders to develop policies or policy recommendations through a holistic, systems-wide approach, rather than through isolated, piecemeal strategies. Like collaborative councils in other issue areas, FPCs are often tasked with addressing a broad array of complex, interrelated issues, such as access to healthy foods, agricultural policies, obesity-related issues and more. What, if anything, can practitioners do to design these councils so that they are more likely to generate the diverse policy outcomes that are demanded by complex food systems challenges? In “How Policy Rules Shape the Structure and Performance of Collaborative Governance Arrangements,” which recently appeared in the Public Administration Review, authors Saba N. Siddiki, Julia L. Carboni, Chris Kioski, and Abdul-Akeem Sadiq look at publicly-mandated, multi-stakeholder collaborative governing councils and ask how the stakeholder makeup affects the councils’ ability to produce the diverse policy outcomes. The authors’ work holds lessons not only for FPCs but also for collaborative governing bodies in public health, emergency management, sustainability planning – any area in which diverse, systems-level policy outcomes are desirable. 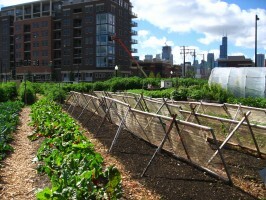 Design collaborative councils to comprise a broad network of community food stakeholders. Councils with greater diversity among members produce more diverse policy outcomes. Chose stakeholders through a careful assessment of their connectivity with food system networks. The authors suggest there is a “sweet spot” of connectedness and diversity where council members are “embedded enough in their own stakeholder groups to have legitimacy and access to important resources” but also are able to maintain alliances with the diverse members of the FPC. Allow / encourage the council to consult and collaborate with external stakeholders. FPCs that collaborated with non-members in developing policy produced more diverse policy outcomes, even if their focus was designed to be narrow. Secure stable funding. FPCs that produced fewer and less diverse policy outputs lacked stable funding from their respective government jurisdictions. 1) Coded the written public policies that mandated the creation, structure and function of the FPCs. 2) Interviewed representatives from 14 FPCs to assess policy outcomes. 3) Conducted a network analysis to assess the size and the stakeholder group diversity of each of the 18 councils they examined. They assigned a diversity score to each of the FPCs to quantify the level of stakeholder heterogeneity. What do the authors’ findings mean, more broadly for practitioners, and where could future research be helpful? In our complex world, diversity in policy-related outputs is crucial; it reflects the complexity of solutions needed to address of certain issues. Enlisting a variety of stakeholders to a collaborative council may ensure that previously unconsidered perspectives about the impacts of current and proposed policies are taken into account and discussed among decision-makers before they become formal recommendations. Also, advisory councils that have a balanced diversity of members may produce more refined, interconnected policy objectives that, if considered, may help to develop comprehensive approaches to address deep-seated issues holistically. Because intersector collaborations ask practitioners to balance sometimes competing motivations and activities of their organization with those of the collaboration, we are particularly interested in actionable steps practitioners can take to encourage the “sweet spot” of connectedness to which the authors refer. What specific considerations should practitioners make when choosing partners to ensure they are deeply connected to key networks but open to developing an allegiance to the collaboration? Are there tools practitioners can use to assess and encourage this kind of connectedness? How can practitioners meet complex organizational needs when negotiating terms with diverse stakeholders?